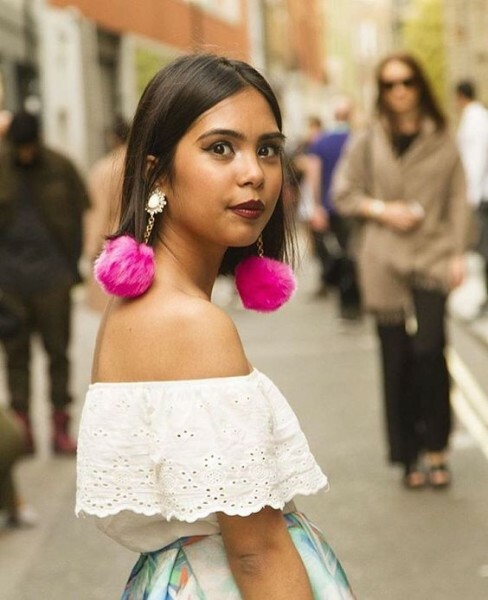 2017 Spring Trend: Cheer it up with Pom Pom – Known for their colorful and exotic vibes, wearing a pom-pom piece will make it seem like you are on vacation even when you’re stuck at your desk. 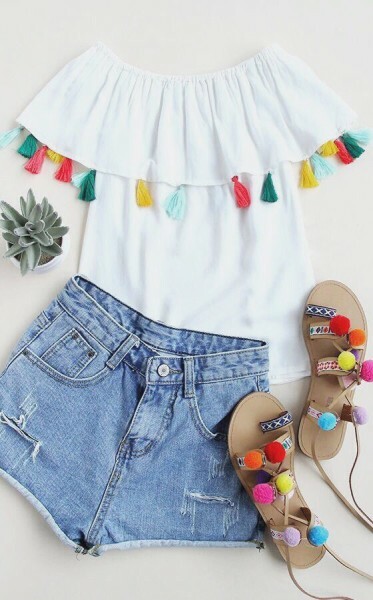 The easiest way to channel those island vibes, whether in the office or out to brunch with friends, are with fun and flirty pom-poms. 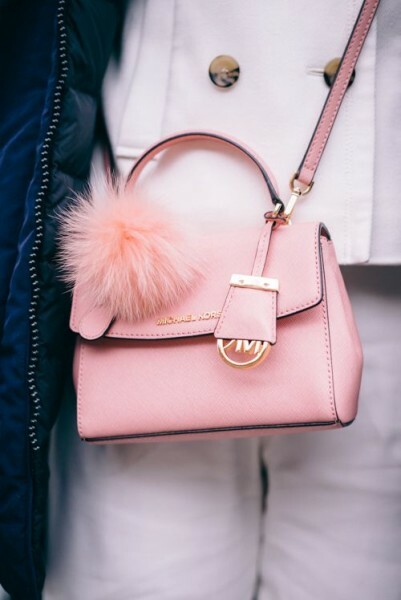 This adorable puff ball has been added to almost every accessory imaginable from socks, shoes, hats, and keychains even to false eyelashes. The trend makes it easy to insert some playful, retro fun into an outfit you’re otherwise bored with. The key to styling these playful pieces is to keep the rest of your look simple and make them your focal point. From pom-pom hats to dresses and, even, sandals, below 10 pieces that will surely brighten up your springtime wardrobe. 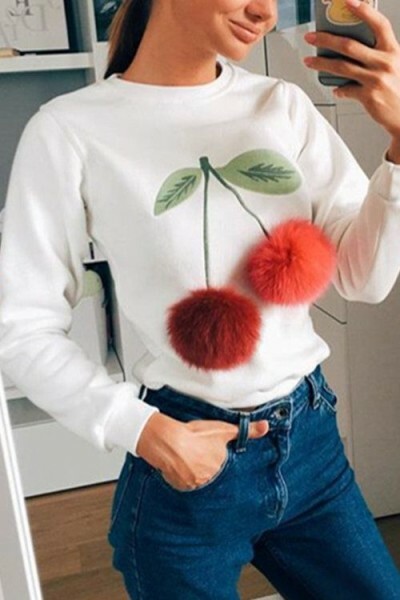 a black knit covered in cute white pom poms, teamed with a bright green clutch.